There’s No Trump Cult, Senator Corker! RUSH: Bob Corker. Not enough time to be fair to a caller, but just in. And it fits, it dovetails with one of the narratives of the program today. 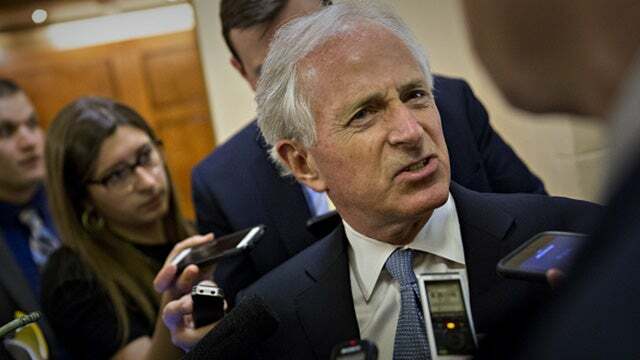 Bob Corker, little guy, he just goes back and forth on Trump. He can’t make up his mind. And this is on Capitol Hill. I guess it’s a press conference. Corker talking to reporters about last night’s primary losses by Never Trumpers and other Republicans who opposed Trump. He just can’t figure it out. RUSH: Senator Corker, this isn’t a cult. Why do you Republicans insist on insulting your own voters? It’s not a cult. You guys just don’t know the perspective. You don’t have the proper the perspective to look at this. I’m gonna tell you. I’m gonna try to help you, Senator, after the break. You’re looking at this the entirely wrong way. RUSH: Now, Senator Corker. He doesn’t understand how Never Trump candidates keep losing, and therefore he doesn’t understand how pro-Trump candidates keep winning. And we just played a sound bite with Senator Corker referring to this as a “cult,” and it’s really a bad thing, he said. It’s a bad thing when your party turns into a cult. Senator Corker, this isn’t a cult by any stretch of the imagination. Donald Trump does not have a Svengali hold on these people. In fact, Senator, if you want to know the truth, Donald Trump is not the cause of all this. RUSH: Magnolia, Texas. This is Debbie. Great to have you. Hi. RUSH: Debbie, you are very crafty. You’re very shrewd. I thought you were gonna go in an entirely different area, but you’ve shocked me. I can’t dispute what you say. For people that didn’t hear what I said, I want to help them to understand what you’re reacting to. A bunch of Republicans are saying out there and conservatives all over the place, that if Obama had had the 24 hours that Trump had, that we would be shouting “impeachment.” And I said no, that’s not the case. Obama has had many of these trips. He has gone over and met with Cuba. He has worked against Israel. He has helped the Iranians nuke up. I said the difference is Trump is trying to get a nation to give up nukes, a bad guy nation to give up nukes. Obama was not. And I said the objective is different. And Debbie is reacting to that and saying that if Obama had these same 24 hours, we would be in shock because we would not believe that Obama would actually do something like that, which is a good point. But I at no time said that if Obama had done this, that we would be upset about it or this or that. All I said was that we would not be demanding that Obama be impeached as we were being accused. 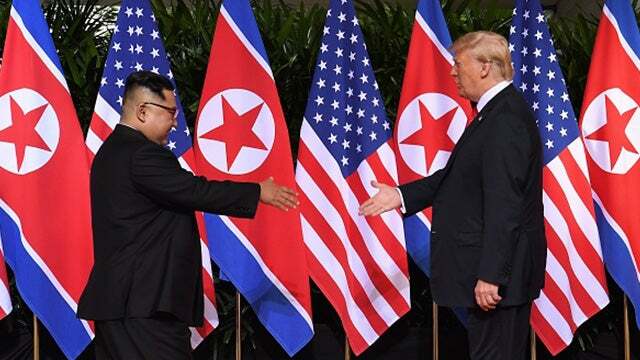 And of course the criticism is, Trump’s got no business being on a stage with a despot like this and giving him equality, giving the same flag, same size of flag, same height. This guy has just been legitimized by Trump. That’s outrageous. And if Obama ever did this, we would be demanding he’d be impeached. Obama did this. Go look at the pictures of Obama with Raul Castro and Cuba. There’s the Cuban flag same size as ours. There’s Obama raising Castro’s arm in the air hand in hand. And nobody was out shouting for Obama be impeached because it was exactly what we thought Obama would do: sidle up to a bunch of communist pinkos. And you’re right. So if he had actually gone to Cuba and told the Castro brothers to pound sand, that we’re gonna start building condos on their beaches, why, we would have said, that can’t happen, that’s not who Obama is, and you’re exactly right. He would not have done what Trump did is your point, right? 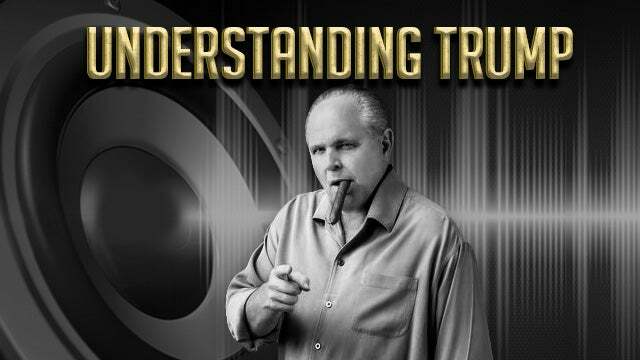 RUSH: By the way, could you tell me what it’s like to be a member of this Trump cult? RUSH: Yeah. Senator Corker says if you support Trump you’re a cultist. See, she doesn’t even know what I’m talking about. She’s not one. This is silly.